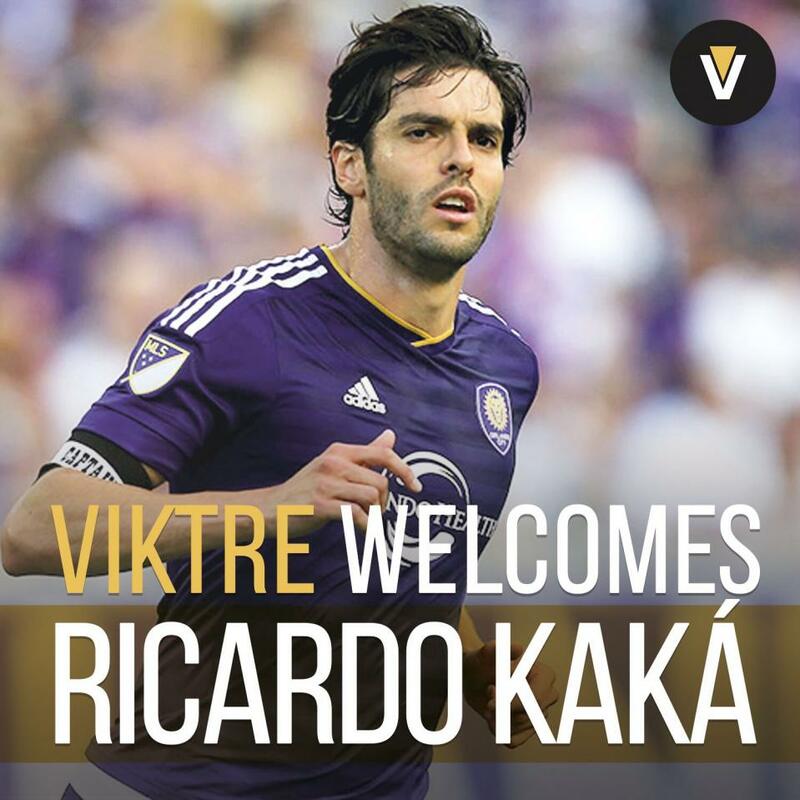 VIKTRE is proud to announce the signing of world renowned football super star, Ricardo Izecson dos Santos Leite, more commonly known as Kaká. TORONTO - June 1, 2017 - PRLog -- During his career with Sao Paulo, Milan, Real Madrid, Orlando City, and the Brazil National Team, Kaká has won the World Cup, UEFA Champions League, and many European League Titles. Developed to showcase the life of an athlete, VIKTRE provides a multi-faceted network and community for professional athletes to connect on a more personal level with their fans. The platform features two interfaces: One for fans to interact with their favorite athletes via exclusive content, and one for professional athletes of all levels to interact with each other in a private, peer-to-peer setting. "VIKTRE's unique way of communicating with fans and athletes allows me to tell my personal stories – about faith, family and my commitment to giving back – all in my own voice and from my distinct point of view," said Kaká. On top of his team accomplishments, Kaká has been recognized as one of world's most prestigious players, receiving the 2007 UEFA Best Player in Europe, FIFA Ballon D'or, 2007 UEFA Champions League Top Scorer, 3X Player of the Year, 2X Footballer of the Year. VIKTRE is being accessed by sports fans in more than 100 countries and includes multilingual support in English, German, Italian, Spanish, French, Hindi, Russian, Italian and Brazillian Portuguese. The platform is available to users via the web, mobile apps, handheld devices with VIKTRE.tv, and VIKTRE Live, coming soon. "VIKTRE is the content publishing platform of choice for the world's greatest athletes. With more than 1,000 athletes representing 250 million social media followers globally, VIKTRE is the source for all stories an athlete should tell. Notable VIKTRE athletes include: Twenty three-time gold medalist Michael Phelps; Indian Cricketer Virat Kohli, NFL All- Pro Ezekiel Elliott; two-time Stanley Cup Champion and NHL Hall of Famer Phil Esposito; two-time World Champion PGA Golfer Ian Poulter; all time F1 race leader Rubens Barrichello; Current WBO Asia Pacific Super Middleweight Champion Vijender Singh, World Cup Champion Footballer Roberto Carlos; nine-time Tour de France team winner George Hincapie; Super Bowl MVP Santonio Holmes; first round NBA draft pick Gary Harris; and WWE star Jay "Christian" Reso.